THIS COMPETITION IS NOW CLOSED. WE WILL ANNOUNCE THE WINNER SOON! Didn’t get the gorgeous dress you were wishing for this Christmas? There’s still hope! We have one of these beautiful 50s style leopard print dresses to give away, thanks to the lovely people at Darling. The Marcia dress is available in tan or grey leopard print and has some lovely details including the black peter pan collar and bow belt. All in all, it’s super cute! It’s available in sizes XS, S, M, L, XL. For your chance to win this beautiful retro-style dress just tell us your favourite piece from Darling’s website and post your answer below. We’ll pick a winner after entries close on Thursday 24th January. The winner will be announced on this blog soon afterwards so don’t forget to check back or subscribe! We will contact the winner shortly afterwards and pass their details onto Darling who will send out the prize directly. 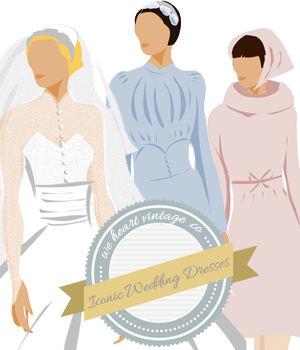 I’m currently organising competitions for early 2013, if you would be interested in sponsoring one of the comeptitions on We Heart Vintage and donating a prize, please let me know! Such a hard choice – there are so many items I would love to own! But my absolute favorite might be the Jasmine Satchel: http://www.darlingclothes.com/product/darling/jasmine-satchel/3476/ – it makes my current courier bag seem so homely! It looks like it has a lot of space and a good amount of pockets…and it’s faux-leather – hooray! It was really hard to pick a favorite, I love the Camilla cape (I have a small obsession with capes) http://www.darlingclothes.com/product/darling/camilla-cape-jacket/2638/ and the Marcia dress. As a photographer, it would have to be Leona Tunic. I could base several styles of images around this. very tough choice, but i reckon the Marcia dress is my favourite as well. especially the tan colour, just gorgeous! I love the flower/rose details on the Penelope dress and would love to try it on: http://www.darlingclothes.com/product/darling/penelope-dress/4195/ . From Darlings website I like the Jasmine dress. However my favorite is still the tan leopard print dress. It is gorgeous and would look fabulous with my new leopard heels! I just <3 Roberta Dress! The corina cardigan is my fave – looks so warm and snuggly – the perfect cardi for our british winters!! I have to say though the choices on the Darling website are amazing – such fab clothes. It has to be Sabrina. Classy, figure hugging, and not too revealing. Leona Tunic, but love them all really. would be perfect over my formal clothes and be stylish enough to wear to going out in the evening. The fur collar would keep me nice and snuggly and if I had the grey Marcia Dress underneath I would look fabulous – where normally I just look okay. There is a great offer on the Cordelia Coat at the moment – a bargain!! Perhaps I’ll just treat myself since Santa was a bit busy last week and flew straight over my house…..
Corina jumper – very cuddly! My favorite piece is the Erica dress. my favorite piece from the shop would have to be the Tamara Tunic as its really nice but also casual which is what my personal dress sense is. The Tamara Frame Bag – gorgeous! I’ve been looking for one like it for AGES! I think I’ve found a new favourite clothing website! Thank you! I love them all but particularly this beautiful dress! http://www.darlingclothes.com/product/darling/penelope-dress/4195/ soo me it hurts! My favourite piece has to be the Emilia dress because I think it’s very elegant and sophisticated. It can be worn on many occasions and has a beautiful pattern. For me this is my favourite. Its such a sweet dress, the kind of dress that makes you want to spend your time getting ready, putting your hair up in rollers, getting that 50’s hair, spending an hour on your making up creating the perfect match to the outfit really focusing on getting those perfect lips. Maybe even a cute pair of black gloves. Just love it. I would say Roberta Dress because the colour is beautiful and the cut is perfect! There are some beautiful items on Darling. I love this one http://www.darlingclothes.com/product/darling/katy-tunic/3726/ – very 1920s! I love the Barcelona Dress I like the smooth clean lines and at my age the long sleeves, but i do like the leopard print best of all!! Cute dress, very stylish and could team with anything. How CUTE is this Helena Coat in Burgundy http://www.darlingclothes.com/product/darling/helena-coat/3693/ LOVE IT! The Arabella dress. 50s with a Japanese twist! I love the Marcia dress as shown – grey leopardskin – love it! Lovely clothes,hard to choose but the Katy is very nice. I love the Penelope dress. I cant believe how reasonably priced it is and its in the Sale now aswell! my favourite is the Roberta dress http://www.darlingclothes.com/product/darling/roberta-dress/4218/ so stunning! I love the green Roberta Dress. noy just as its the prize but from all the dresses the brown leopard print marcia dress is my fav! http://www.darlingclothes.com/product/darling/marcia-dress/4146/ love it! pretty cute and girlie and i look the quirky vintage feel to it! Perfect – as a dress or long top! I love the Phoebe dress! I love the Toledo dress, though I can’t decide if I prefer it in plum or antique gold! The Antonia dress is gorgeous ! So is the Marcia dress in the prize ! So many beautiful frocks to choose from, for me it has to be the Lillie Dress. I love the Leopard print dress as well! It was really hard to choose just one piece of clothing because I love the vintage style that this brand is fine. The dress I chose is CHANTELLE DRESS because it is refined, elegant style reminding of Michelle Obama. My favourite is the Arabella dress, I think it would suit my body type. I love this dress http://www.darlingclothes.com/product/darling/sabrina-dress/3285/ So timelessly classic! I love the katy dress. The Cordelia coat is divine! The corina cardigan is just so original.. i love it! The Marcia dress is my favourite! The Roberta dress is stunning. I’m very tempted to buy it next pay day! http://www.darlingclothes.com/product/darling/phoebe-dress/3832/ some lovely clothes so it was a tough choice! As much as it sounds like a cop out, I love the Marcia dress in tan. The Arabella dress is really pretty but I do love the Marcia dress too! thankyou for the lovely giveaway! Arabella Dress is my fav. Digging the Amelia Dress – daring and sassy. I really do think it’s the best! Please give it to me; I hope you acquiesce! I love this dress http://www.darlingclothes.com/product/darling/natalia-dress/3799/ its so cute!! I adore the Venice top. http://www.darlingclothes.com/product/beloved/venice-top/4758/ Love the intricate metallic lace trim. Very glam & retro, very me. I love the Sabrina dress, it’s beautiful. I love the Emilia skirt – might just have to order it now that it’s in the sale! I love the Antonia Dress! Really lovely! I love the Ginny Dress and a bargain to! The Esme Dress by far! Oooooo very difficult choice but love the Ginny Dress. My absolute favourite is the Cara Dress in black, but I love the leopard print dress too! I love the Ginny Dress! I find this style quite flattering on me and the mocha colour is lovely. love the lillie dress- it’s so cute! Gotta be this. My Lost Girl would look stunning in it. LYKW. My favourite is the Felicity Dress although I actually love them all! What a fabulous website! Love the Keeley Skirt as well as the Marcia Dress! Fab choice of items i could go wild here – my fave is the Lillie Dress i do like to be noticed! I like the Felicity dress mostly, some great pieces there though. The Roseanna Tunic, could be dressed up or down – perfect for drinks after work! I love the Roseanna tunic, what a lovely website! Maybe it is the cold weather steering me towards the Kristina Jumper! And its in the sale too!! I particularly like the “Rosanna Skirt” at http://www.darlingclothes.com/product/darling/rosanna-skirt/3253/ as it is very pretty and feminine. I like the Arabella Kimono – it would definitely perk up a black outfit. Really love the Erica dress – it’s absolutely gorgeous. Camilla Cape Jacket is my favorite! I absolutely LOVE the Amelia Dress AW! the Camilla Cape Jacket, I LOVE IT!! I adore your Marcia Dress, it’s gorgeous! I totallly have fell in love with the Sabrina Dress, amazing!! The Natalia Dress is my favourite. My favourite is the Lorelei Mac – so feminine ! Nearly went for the Marcia but the Antobnia wins – http://www.darlingclothes.com/product/darling/antonia-dress/3970/. I love the Lorelei Mac. Very glam!